The skeleton of a civilian in the Salahaddine neighborhood of Aleppo. According to the rebels, the man was killed during the month of July, and the Syrian Army controlling the neighborhood never buried him. 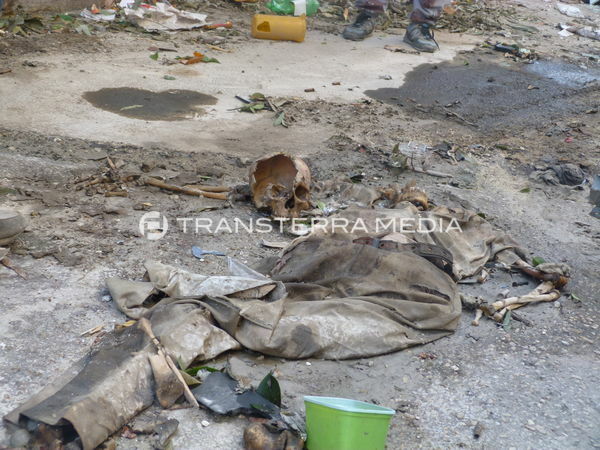 The body was eaten by rats and left to rot in the street until the rebels retook the area.